The Story of My Inner Child | "Join me on 'the journey' of self Discovery!" Growing up, I had a natural ability to write and draw. My two favourite subjects at school were English Literature and Art. However, I never pursued a career in any of these areas because I didn’t believe in myself or my abilities. As you can see, I clearly was good at art, but my perception of myself was reflected in how I viewed my work. My lover-friend had asked me to do a portrait of his favourite singer, Alexandra O’Neal from the record sleeve; when he saw my creation, he threw the original on the floor! Still, I remained a blocked writer and artist for over 20 years after that. My inner child was crying out to be heard, but I ignored her. I was unfulfilled, and miserable in my job as an Accounts Clerk. After the birth of my second ‘sun’ in 1995, I decided I wanted to do something that would work around them. I wanted to go back to being creative, but I didn’t know how. I attracted a book called ‘The Artist’s Way’ by Julia Cameron, which helped me begin the process of unblocking. This book literally saved my inner child’s life! I didn’t just read it, I did all the daily and weekly tasks (it’s a 12-week course). The first thing I had to do was start writing my Morning Pages, 3 A4 pages every morning, of any thoughts that came into my mind (it didn’t have to make sense). The second thing was to take my inner child on weekly ‘Artist Dates‘. This was fun! Some parts of the process involved going deep into the recesses of my mind to uncover where that critical voice in my head was coming from that kept saying “You? A great artist? LOL” or “You? A best-selling author? You could never amount to that!” The exercises helped me get to the root cause of my insecurities, and to begin counter-attacking them with POSITIVE AFFIRMATIONS like “I am a brilliant and successful artist”, “I am a prolific writer”, “I have rich creative talents”, “I am confident and competent in my creative work”, “I am a channel for the Creator to create through”, in order to get my creative juices flowing again. ‘The Artist’s Way’ taught me how to nurture my inner child, and to give her the freedom she desired to create. As the adult, I had to learn how to step out of the way, and allow her to be free to create without crippling her creativity. By the 8th week, I was writing and painting freely! Cezanne (my artist) is a child. With a poem, a dance, and a squiggle-diddy! “I want to paint!” she says. “I want to write!” she cries. “I want to dance!” she pleads. How can I deny my artist-child these things? To be free to express her creativity? So….I give her the paints, AND the time of day. I give her the dance classes she’s always craved. And to sing, yes to sing with the voice that God gave! Now my child, GO and CREATE! When I started writing my novel in 2010 (now re-titled Journey of a Sister) my job as the adult was to get out of the way and let her be free. I used My Inner Child to illustrate the front cover of the e-book for Year Two, because there’s a part where Suzanne inspires Charles to awaken his inner child! (‘Lace Seduction’). My inner child is wild and free – she has no boundaries! When I decided to set her free I KNEW it would cost me my privacy! Then she turns my experiences into a song, story or poem! Go on, open it, take a look! She doesn’t know where to draw the line! All I keep seeing are POUND SIGNS ££££££££! Where Did the Name ‘Cezanne’ Come From? Cezanne is my ‘spiritual’ name: When I was around 14 years old, I was in the back of class one day at school, doodling on the back of my textbook (obviously bored!). 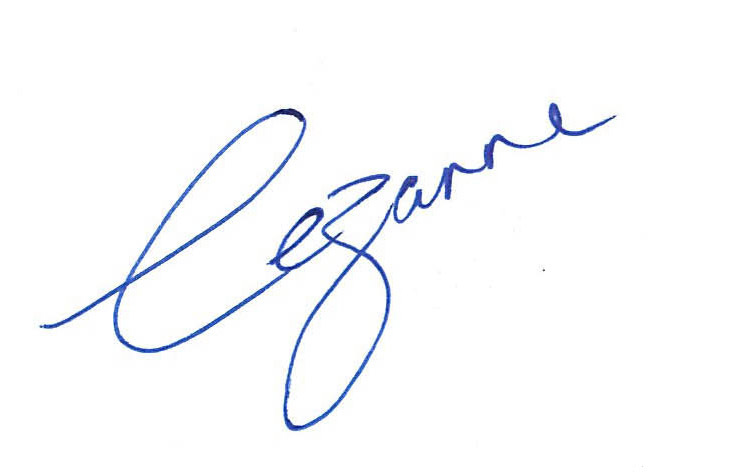 As I was drawing randomly, the name ‘Cezanne’ appeared in the doodles! The name stuck in the back of my mind all the years I was a blocked writer and artist, and only came back to me when I had to name my inner child as part of Julia Cameron’s book ‘The Artist’s Way‘. I’ve now changed my name by Deed Poll, in the hope that eventually, my inner child will take over completely! Setting her free has enabled me to write and record over 30 poems, write two self-help books and a collection of award-winning poetry, paint 11 paintings, and I’m still creating, including building and maintaining this website, writing my first speech (Use Your Subconscious Mind to Create the Life YOU Choose!) and developing workshops for my Retreats! Join me on the ‘Nurture Your Inner Child’ Retreat! Visit my Art page to learn about the Colours & Symbolism in my paintings and to download them to your device so you can benefit from the Colour Therapy in them too! ← Blog Tour BONUS Day! What’s in a Name?